A free wallpaper named Garden Path With Chickens. This image has been chosen from the Gustav Klimt Paintings collection featuring on this website. It has a height of 1080 pixels and a width of 1089 pixels. The picture shown is (in most cases) a reduced size image of the original. You can left click or tap on the image to see its full size. Some pictures in the collection are magnified to fit a larger box and their true size or resolution is smaller than it appears. Click or tap on the image for the best view of it in full resolution. Select the arrows to the left and right of it to navigate through the whole collection. 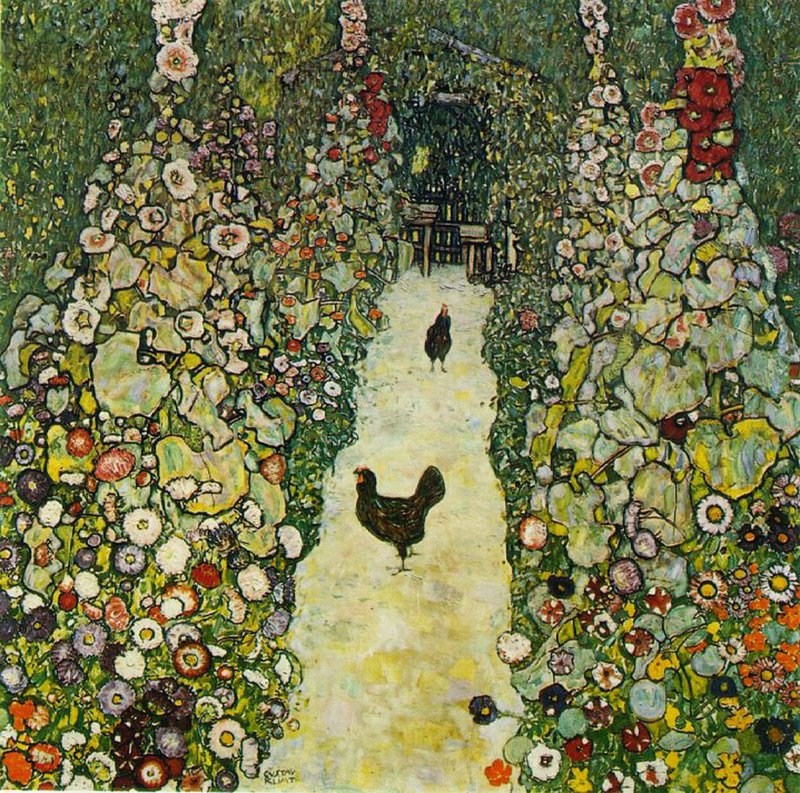 The image called Garden Path With Chickens and all the pics and images featured in the Gustav Klimt backgrounds collection should be used for personal reasons only. They can be used on a tablet, smartphone, pc, laptop or any other digital media device you might have.